In the latest LISD White Paper, "The Afghan Taliban's Relationship with Pakistan," Safi Khalilullah analyzes long-standing relationship between the Afghan Taliban and Pakistan, from the Taliban's origins as an anti-Communist uprising to its iterations under the leadership of Mullah Omar and following his death. The white paper was edited and translated by Joseph Mohr, and includes abstracts translated into German, Pashto, and Dari. His translator Joseph Mohr is a longstanding contributor to the Liechtenstein Colloquium and to Liechtenstein Institute on Self-Determination publications. This paper seeks to reflect the views of those fighting the Afghan government, which includes the movement of the Afghan Taliban. The movement of the Afghan Taliban grew out of multiple sources, but came mainly from primarily local bands of religious students who joined the anti-Communist uprising of Afghan religious scholars. These bands of religious students captured branches in some of the Pakistan-based religious resistance parties, and were frequently integrated in provincial organizations as separate “fronts” inside Afghanistan. The religious students did not appropriate the modernizing Islamist discourse of Hezb-i Islamiand other parties, but demanded the creation of an Islamic system of governance, the "Islamic Emirate," headed by the commander of the faithful (amir al-muminin), and not a President. This vision was realized in 1998, two years after the fall of Kabul. Pakistani support had been used up to this point by all parties in order to capture power in Afghanistan as a tactic. With the fall of the Islamic Emirate, this tactic changed to become the strategy for their survival, come-back and counter-offensive. Every time the Taliban used Pakistan in order to secure their leadership, establishing command centers, recruitment, or any other activity, the increasing reliance colored their whole activity. In the matter of recruitment, this meant that Pakistani youth would be admitted into the Afghan Taliban ranks as full members. Ultimately, this reliance also opened up the Afghan Taliban to Pakistani penetration and influence. Mullah Omar, the “amir al-muminin” tried to counter this trend by relocating into hiding inside Afghanistan, where he also died. In the process, he had ceded much actual control to his messengers, who could operate in Pakistan and the world in his name. 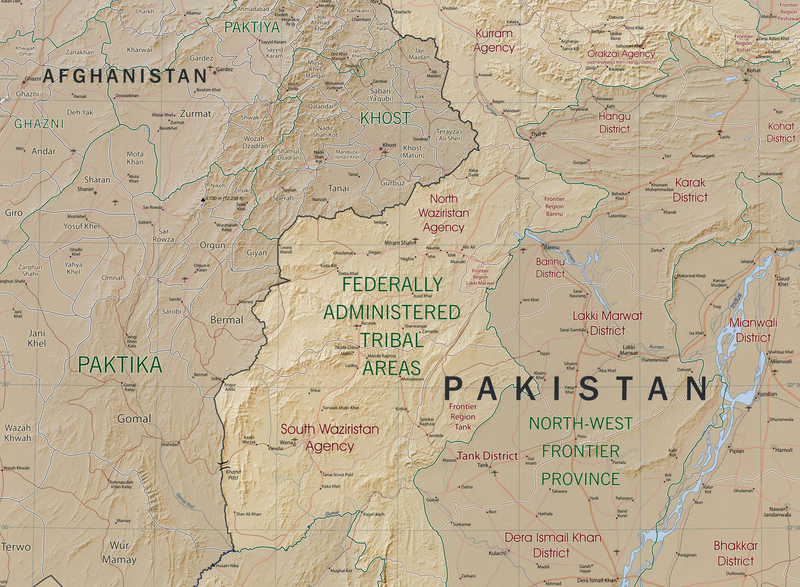 The article provides an overview of Mullah Omar’s movements between Afghanistan and Pakistan after the fall of the Taliban Emirate up to his death. In light of President Trump speech on 21 August 2017, and subsequent briefings by Secretary of Defense Mattis and General Dunford to the Senate on 3 October, a stronger focus of the United States on Pakistan’s role in supporting the Taliban is evident. The views of the Taliban and Al-Qaida operatives on the role played by Pakistan appear to support this shift in American focus from President Obama’s approach.